Learn how to raise more money for your charity from your website. Download your free e-book today. More often than not, charities are living by the mantra, ‘if it ain’t broke, don’t fix it.’ But when it comes to the constantly evolving digital landscape, thinking your site is just ‘good enough’ isn’t always the best route forward. The internet is everywhere – there’s no avoiding it. We’re constantly connected through our mobiles, tablets and computers. And we’re encountering new sites every single day. With more UX technology and personalisation than ever before, we’re seeing web design changing faster and faster. In other words, no charity can afford to stand still. People just don’t have the patience for bad web design anymore. Take, for example, Millennials and Generation Z. They use websites for information gathering, finding volunteer opportunities and online donations. Mobile technology gives them instant access to this information, which means they want to find and digest it as quickly as possible. According to the Millennial Impact Report, the number one issue Millennials have with non-profit websites was that the interfaces aren’t mobile friendly. They found that sites were missing information (or information was difficult to find quickly). That means a whole chunk of potential donors are being put off by bad web design. So is your site one of the millions that is breaking the cardinal rules of web design? Here are 3 of the most common mistakes non-profits are making on their websites. Since 2016, mobile traffic has been on the rise. These days, people access the internet more often on their phones than they do on their computers. So why wouldn’t you be absolutely sure that your website works on mobile? 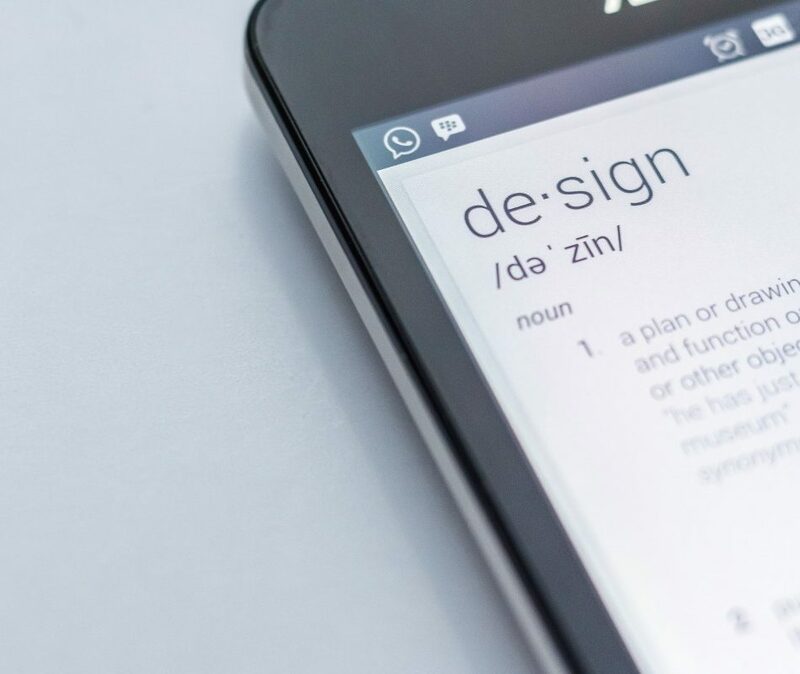 According to Google, 61% of users are unlikely to return to a mobile site they had trouble accessing, and 40% would visit a competitor’s site instead. The fact is, 53% of all mobile pages are abandoned if they take more than 2 seconds to load. That’s a really short window, but if you effectively grab your users’ attention in that time, they’ll engage more with your site. A negative experience on mobile means people are less likely to come back, but a positive one means they’re more likely to donate. Think about the main reasons someone visits a charity’s website. Typically, people want to make a donation, discover volunteering opportunities and learn about the programs you offer. When you fall into the trap of overwhelming users with too many pages and too much content, they lose sight of what they came to your site to do and you run the risk of losing their attention. Your website needs to have a clear and concise message. Many charity websites focus so much on their story and their mission that they forget to create clear paths to conversions (donations, newsletter sign ups, volunteer applications). You control how users experience your brand, so take them on a journey through your site. Don’t make users jump through too many hoops to get what they want. If you want to be impactful, drive people to your key actions in as few steps as possible. We’re all excited about the causes we’re working for, which is why we have a lot to say. But more often than not, charities without a dedicated marketing or content person forget that less is more. There’s a fine line between being transparent and being overwhelming. Let people know about all your hard work, but don’t bog them down in paragraphs and paragraphs of content that dilute your mission. That’s not to say that people don’t want to read your story and learn about the things you’re doing to make the world a better place. But with attention spans shorter than ever before, users want a mix of text and visual (and to find answers to their questions quickly). Could your story be told better in a poignant 60-second video? Or maybe you could break up text with heartwarming images of the people you’ve helped. Too much text can exhaust visitors as soon as they land on your site (and we don’t want to exhaust, we want to inspire). With so much online competition fighting for donor attention, standing out from the crowd can take a bit of effort. But taking the time to evaluate your websites pain points and create a plan on how to improve the user experience is the first step towards better donor engagement. So, what are you waiting for? Start building a better website today. 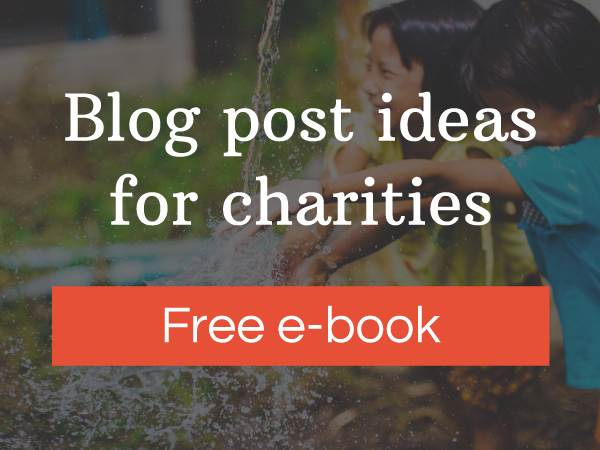 Download your free e-book and learn how to raise more money for your charity. Content marketing is a powerful tool. Download your free e-book and learn how to engage your supporters, build awareness of your cause and increase donations through your website. By checking this box you are agreeing to be added to our mailing list. We'll use this to contact you from time to time. We will never sell or lease your details to any third parties.